Document Notes: Photos of Assembly Center operations. Page Notes: Salinas Assembly Center, California -- A panoramic view of the Salinas Assembly Center. 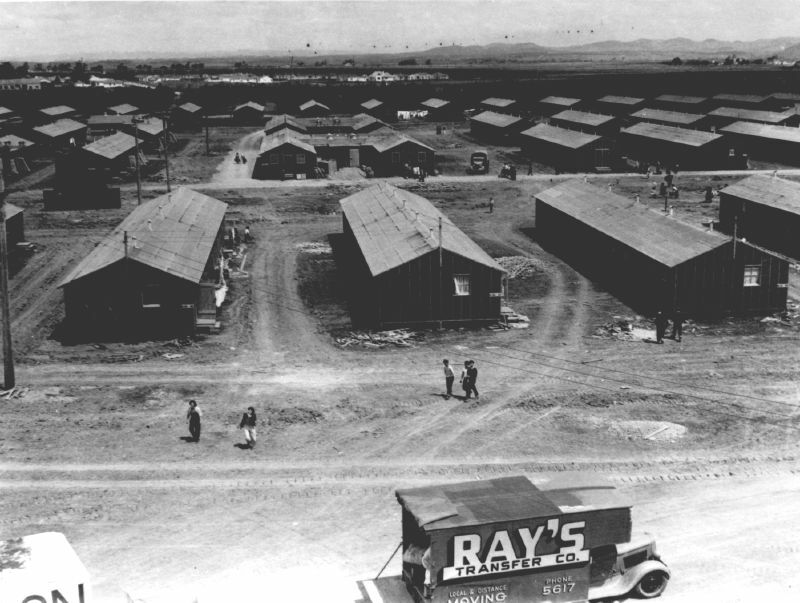 Moving trucks transport evacuee luggage into the camp.